We’re fortunate to get to work with some of the brightest minds in university research, administration, and infrastructure. Here are some of the projects that we’re proud to be a part of. 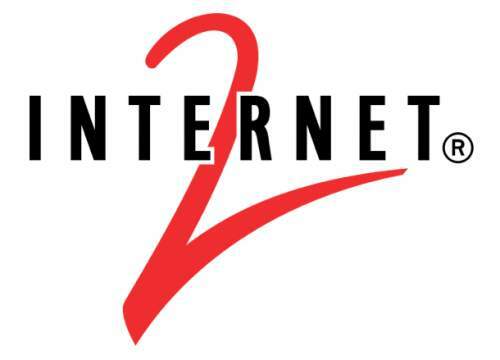 Most researchers are aware of Internet2's high speed network that connects the world's leading research institutions. Fewer are aware of the InCommon Federation, which provides trust and authentication services to help the same universities identify and trust each other's users. West Arete led a security audit and modernization effort of the web application that manages all the metadata for this system. 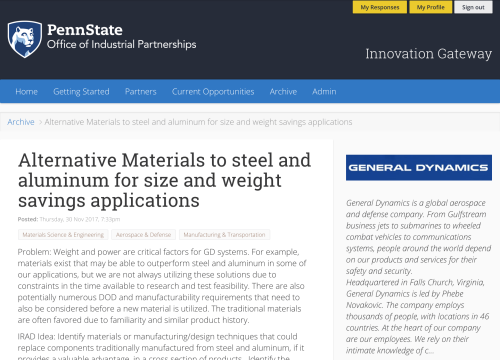 Penn State's Office of Industrial Partnerships had the idea for a new way to connect faculty members to industry challenges. 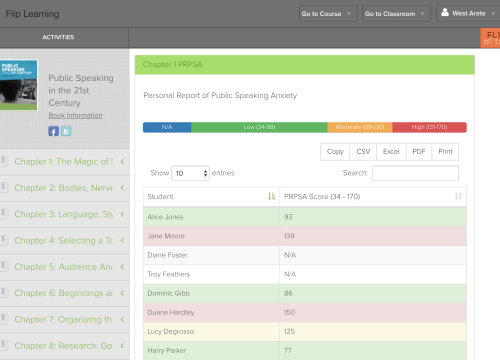 We built a new web application that reaches out to thousands of faculty, and takes a data-driven approach to finding the faculty members that are most likely to submit an innovative proposal. Dr. Amy Glasmeier at MIT is one of the leading researchers on poverty in America. Years ago she developed a technique for aggregating data from several sources to arrive at the true cost of living for a particular community. 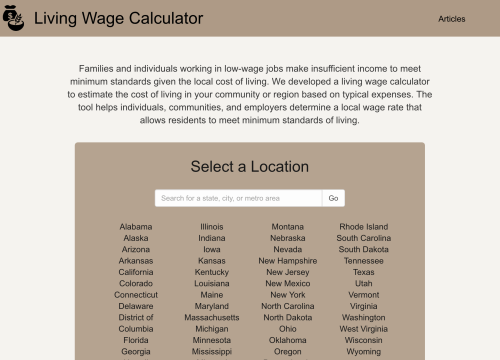 West Arete developed this research into a web application that would report the living wage for any community in the country. 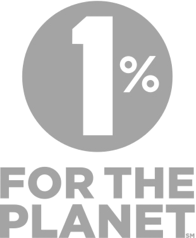 This resource has come to be regarded as the primary trusted resource on living wages in the United States, and continues to influence public and private policy. 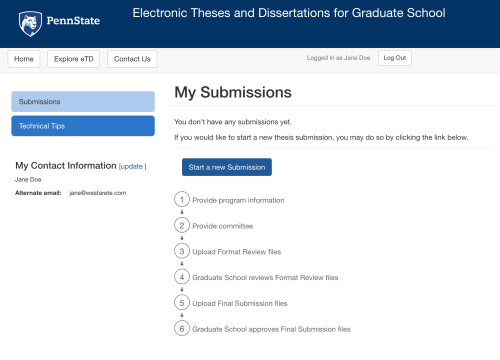 The University Libraries recognized the need for a custom workflow application to guide all of Penn State's graduate students through the precise sequence of submitting their Masters' theses and PhD dissertations for final review and signatures. The documents are then archived in ScholarSphere for preservation and timed release. West Arete built the initial version of the application for the Graduate School while mentoring one of the Libraries' software developers, who was ultimately able to take over maintenance and development of the application. 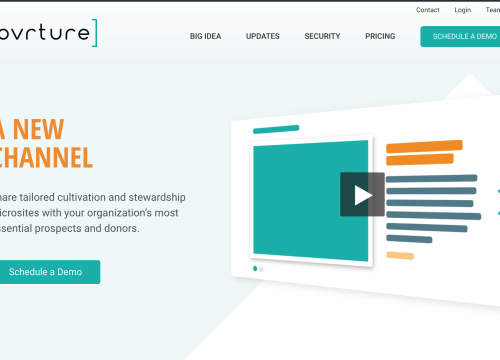 Ovrture is a highly specialized platform that allows university development offices to easily create their own custom microsites for individual donors. West Arete built their entire hosting platform for security and scalability, using Terraform, Chef, and Packer. Plant Village is a research effort led by Dr. David Hughes. 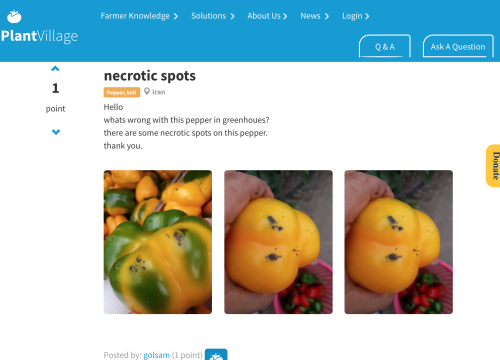 It uses a vast library of images of plant diseases and expert diagnoses to feed a mobile application that Machine Learning to diagnose crop diseases in underfed parts of the world. West Arete was able to resurrect and modernize an old copy of the source code for the web application to work with a recent copy of the relational database. 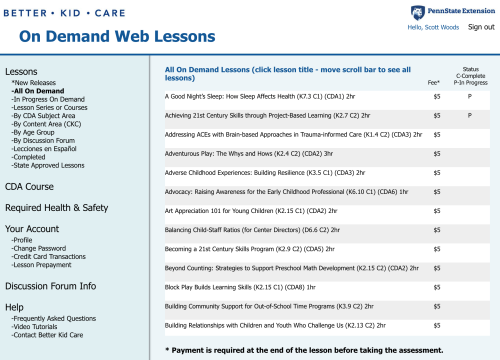 Better Kid Care provides the online educational resources that are used for most of the professionals that pursue a childcare or teaching certification in the United States. West Arete completely rewrote and modernized their primary web application with zero downtime, allowing it to scale to meet the current and future needs. Flip Learning draws upon their teaching and research background in higher education to create the next generation of interactive classrooms. West Arete modernized their original pilot application, and now helps the application to evolve and scale to meet their growing demand. The Larson Transportation Institute rigorously tests every model of commercial bus sold in the United States. They collect more than 1,000 variables about the wear and tear on each bus as it is driven for tens or hundreds of thousands of miles. 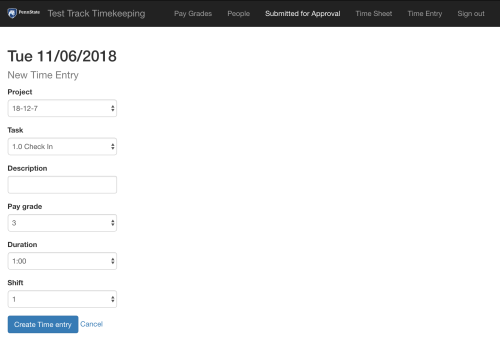 West Arete built a mobile-first custom timekeeping system to help drivers, employees, and staff to track time and integrate it properly with the bus testing database. Dr. Melissa Bopp devised the Active Lions mobile application to measure the effect that various types of information and input would have on people's tendency to use active travel (e.g. walking, biking) to get to and from campus. West Arete designed and developed the application with Dr. Bopp, and supported it throughout the experimental period and until publication. World in Conversation is a remarkable student-run center that seeks to expand peoples' perspectives by facilitating dialogs on challenging topics such as race relations. Thousands of students take part in order to promote learning and understanding. 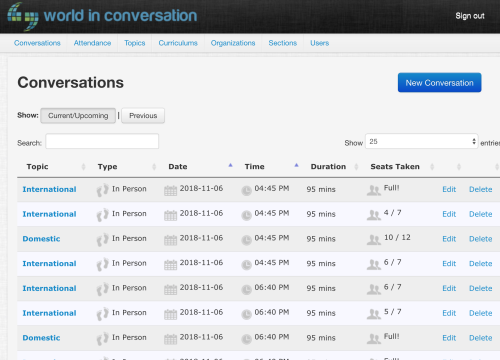 Sometimes these conversations are in person, and sometimes they span the globe using videoconferencing. 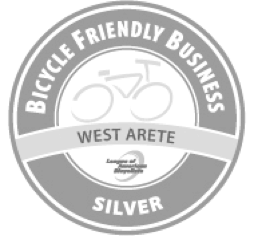 West Arete developed the application that guides users through the registration, scheduling, and accountability process. With almost 200 full-time and student officers, multiple campuses, and several special events per day, Penn State University Police is arguably one of the most complex university police departments in the country. 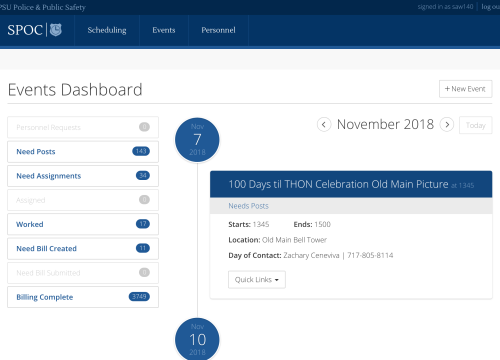 West Arete worked directly with several stakeholders from the university police to build the custom workflow application that could manage the scheduling, staffing, and billing for the university's special events. The current system has already allowed the department to radically streamline their special event billing procedures, which are an important source of revenue.